The midsize crossover segment has exploded in recent years — but even among fierce competition, the 2016 Honda CR-V remains at the front of the pack. The model was just refreshed in 2015, so College Place and Kennewick drivers will be behind the wheel of a thoroughly modern model that offers the latest in terms of style, technology, power, and efficiency. With comfort and plenty of space on the inside, a strong engine under the hood, and a modern, flowing body, the CR-V is a top choice. The 2016 Honda CR-V has already been noted for its agile performance and impressive handling. With a standard Continuously Variable Transmission, drivers will experience a smooth drive, while the exceptional engine can help you tackle adverse conditions. At the same time, a host of additional technologies and features let you make the most of each drive. Thanks to its innovative Continuously Variable Transmission, the 2016 CR-V can continue offering the low fuel-consumption rates for which Honda is known. College Place and Kennewick drivers can look forward to earning an impressive 26 mpg in the city and 33 mpg on the highway* with 2WD, or 25 mpg city and 31 mpg highway* with AWD. Midsize crossovers don’t require the same degree of power that you’d need in a full-sized SUV, but they still need enough torque and horsepower for capable performance, powerful cruising, and the ability to take the trail with confidence. The CR-V can provide it all thanks to 185 hp and 181 lb-ft of torque from its 2.4L 4-cylinder engine. Not many vehicles come standard with a Continuously Variable Transmission (CVT) with Sport Mode, but the 2016 Honda CR-V is one of them. Instead of old-fashioned static gears, a CVT uses an innovative belt system to constantly adjust gear ratios and ensure both seamless performance and outstanding efficiency. If you’re driving on low-traction terrain such as snowy roads or backcountry trails, you’ll be more in control when the engine’s power is channeled to all four tires. If the front tires start to slip, power will be diverted to the rear tires to ensure that you remain on course. An on-board computer will determine the need for rear-wheel drive, automatically disabling it once you’re at a constant cruising speed to allow for increased efficiency. The CR-V has been expertly designed to ensure that you experience exceptional performance without ever having to use more fuel than is necessary. That makes the vehicle more efficient, but the Eco Assist feature uses colored coaching bars on either side of the speedometer to help you make yourself more efficient. If you started your vehicle on a hill, it used to be necessary to manually hold the handbrake to ensure that your vehicle wouldn’t roll downhill. The 2016 Honda CR-V now takes care of that for you, automatically engaging the brake when it senses that you’re on a slope. The 2016 CR-V is a family vehicle designed to function flawlessly in the city and on the highway while still boasting the capability to tackle off-road terrain, so it should come as no surprise that Honda has equipped it with a vast selection of standard and available safety features. From Honda Sensing technologies designed to augment your awareness to an intelligent body structure, the CR-V is one of the most safety-focused crossovers available. Most vehicles now feature a rearview monitor, but Honda has taken the technology to a new level. The camera fitted with your CR-V includes viewing modes for normal, top-down, and wide-angle perspectives, so you can reverse while knowing exactly what is behind you. It even switches on automatically when you begin moving in reverse. ACE stands for Advanced Compatibility Engineering, and its integration into your CR-V’s body structure is a big part of why this model is so safe. Upon impact, the body will crumple intelligently to direct impact energy away from occupants. The CR-V comes standard with a Vehicle Stability Assist system. It can regulate the output of your engine and intuitively apply braking force to make sure that your control over the vehicle remains complete. If you’re in danger of losing traction while cornering or traversing tricky terrain, it will step in to protect you. Part of the Honda Sensing suite of driver-assistance technologies, the Forward Collision Warning system uses a front-mounted camera that maintains a measure of the distance between your CR-V and the vehicle ahead. If that gap becomes unsafe, an alert is provided, allowing you to slow down and remove yourself from potential danger. Driving at night or while you’re tired increases the likelihood of accidently deviating from your lane. If that occurs, the Lane Departure Warning system provides an alert designed to make you aware of the situation before you stray into harm’s way. It also warns you when you attempt to merge or change lanes without indicating. Working in conjunction with your Forward Collision Warning system, the Collison Mitigation Braking system is ready to step in if you don’t respond. Should you get too close to the vehicle ahead, it will automatically apply braking pressure in order to keep you and your passengers safe. 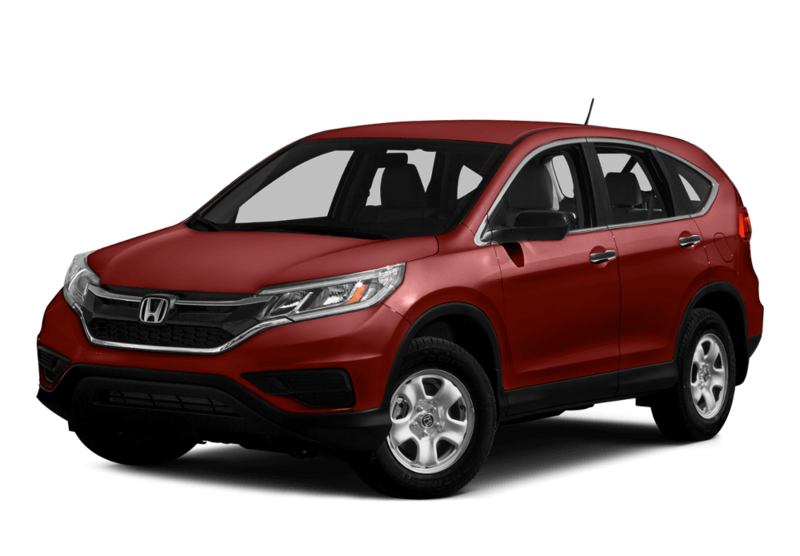 The 2016 Honda CR-V provides a phenomenally comfortable drive from a completely up-to-date cabin. Deep and supportive seats provide exceptional comfort throughout each journey, advanced technology lets you stay connected on the go, and plenty of space allows you to take as much cargo as you need. Juggling all the needs of busy modern families isn’t easy, but the 2016 Honda CR-V has found a way. EX models and above come with a 10-way power driver’s seat, which can be moved forwards, backwards, and up and down with just the touch of a button. Touring models include a two-position memory function that will automatically store your seating preferences and then move back to them after someone else has driven the vehicle. Honda is all about forward-thinking technology, so College Place and Kennewick drivers can now sync their smartphone to their CR-V after downloading the HondaLink app to their smartphone. They’ll then be able to access vehicle information, set service appointments, and add a range of additional connected features, all from their phones. You can control your cruise settings, audio settings, phone, and i-MID from the steering wheel, but there’s also a crystal-clear 7-inch touchscreen that allows for quick and easy customization of your driving environment. 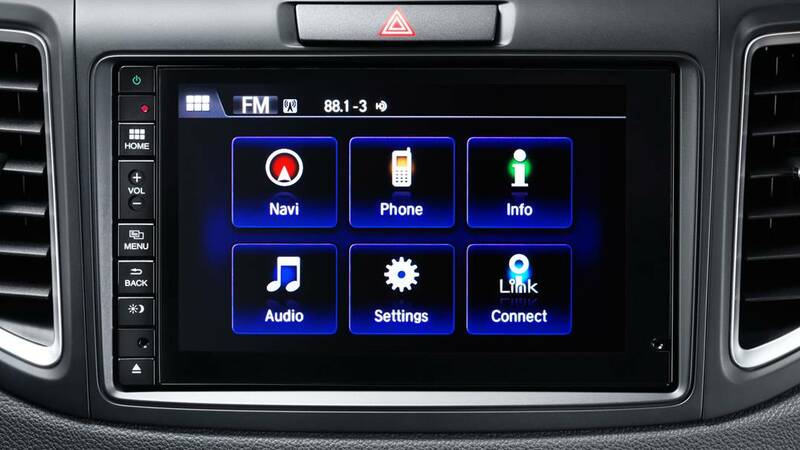 Whether you need to change the music, play a podcast, access the internet, or check out your route on the available navigation system, you’ll be able to do so with ease. 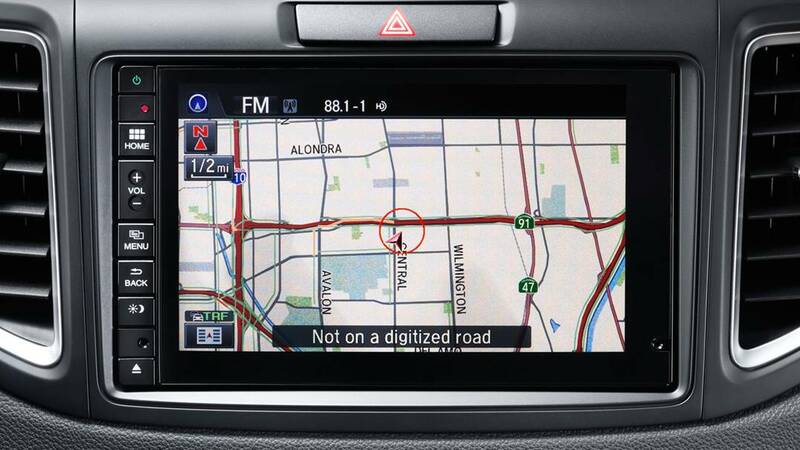 If you’ve ever missed a meeting or taken the wrong exit, you’ll understand the value of having satellite navigation technology built right into your vehicle. The CR-V’s available system will get you where you need to go as quickly as possible, and Honda HD Digital Traffic can help you bypass gridlock and construction work. 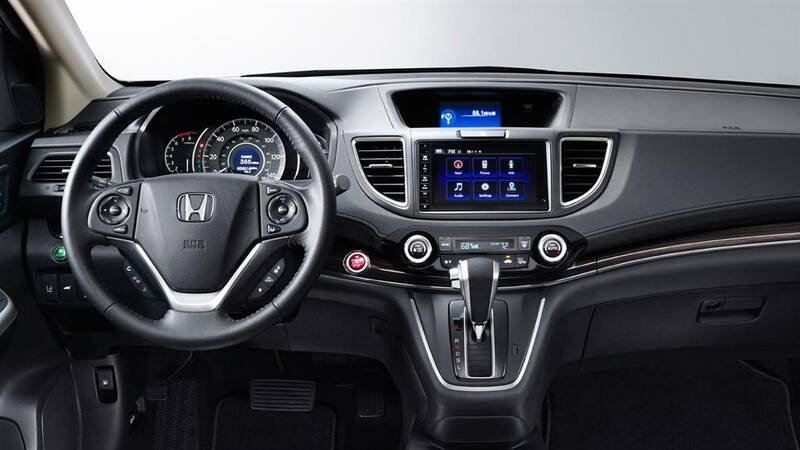 Bluetooth technology comes standard across all 2016 Honda CR-V trim levels, so you can connect your smartphone to make and take calls without removing your hands from the wheel or your eyes from the road. 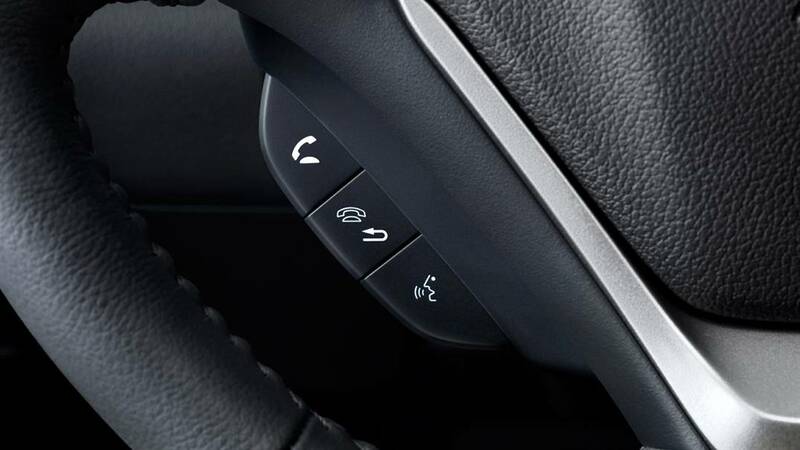 When a call comes in, just a tap on your steering wheel-mounted controls will let you begin talking. 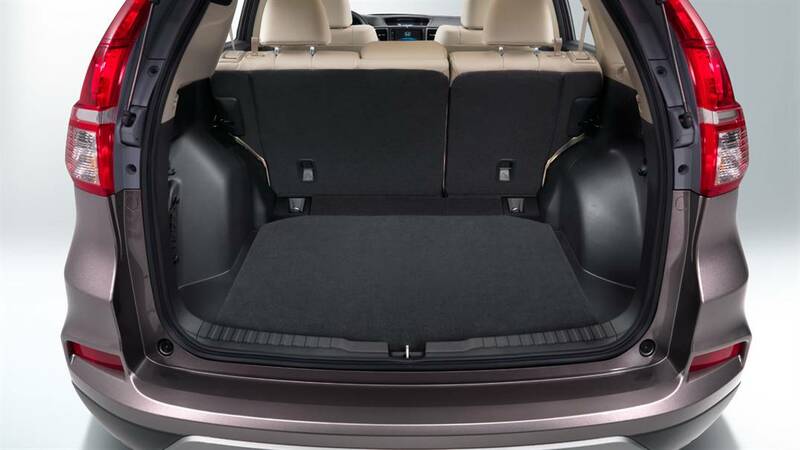 The 2016 Honda CR-V might be a midsize crossover, but its agile exterior dimensions conceal an outstanding level of interior cargo space. Even with all five seats occupied, there is up to 37.2 cubic feet to play with. 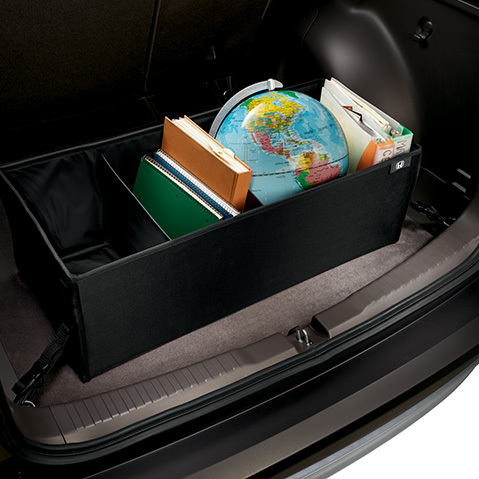 If you need more, just fold down the rear seats for up to 70.9 cubic feet of space. Five trim levels are available for the 2016 Honda CR-V, as well as numerous available features. However, drivers will have the freedom to add even more to their vehicle using genuine Honda accessories that have been expertly designed and constructed specifically for their vehicle. 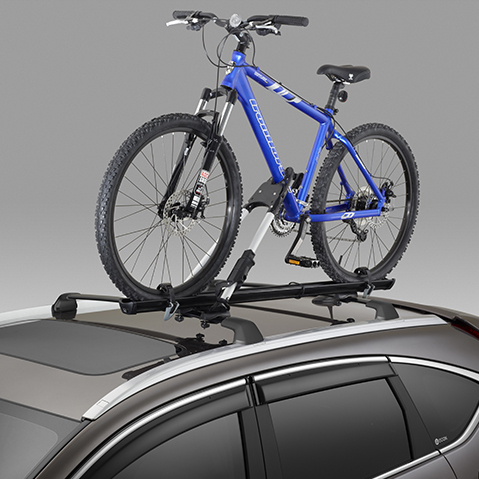 The roof mount bike attachment lets you attach up to two bikes securely to the available crossbars. You won’t have to do any disassembling in order to attach them. When you arrive at your location, just unfasten them from the attachment and you’re ready to roll. Even with the CR-V’s generous interior cargo space, the more adventurous among us will always require a little bit extra. If you’re one of them, just pick up a roof box. 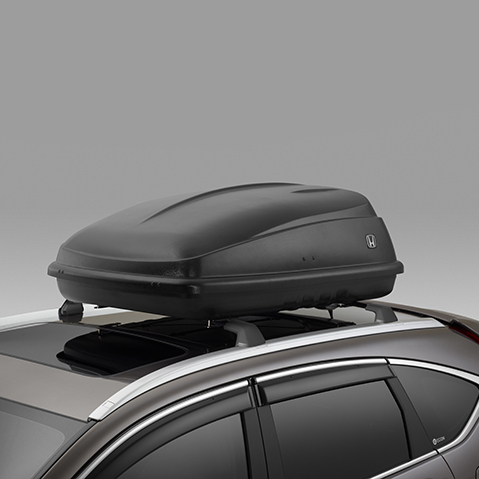 Ideal for storing bulkier items — or those that tend to get a little messy — the roof box holds up to 13 cubic feet of cargo, and can be locked for complete peace of mind. 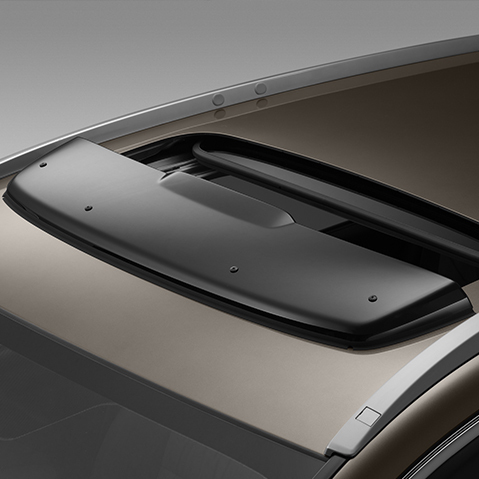 Opening the moonroof at high speed often means that the cabin becomes too noisy, but this aerodynamic add-on will reduce both noise and glare while still letting air circulate through the cabin. Constructed from strong, attractive, durable, and crack-resistant tinted acrylic, it’s the ideal accessory for letting the outside air in all year round. The CR-V offers College Place and Kennewick drivers a smooth and controlled drive, but it’s still possible for items to move around during transit. Luckily, the cargo organizer keeps items upright in a sturdy canvas divider that is also ideal for separating certain items. It even collapses easily when not in use. Even if you’re backing up in a confined or busy environment, you’ll be able to reverse with confidence thanks to this system’s four cutting-edge sensors. 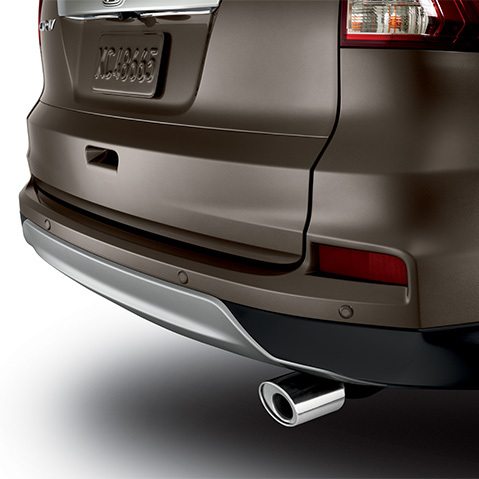 They’ll emit beeps that vary in frequency the closer you come to objects behind you, so you can reduce the danger of reversing too far and causing an accident or damaging your CR-V. This system lets you start your CR-V from up to an incredible 400 feet away, perfect for bringing the interior to a neutral temperature during cold or hot days. 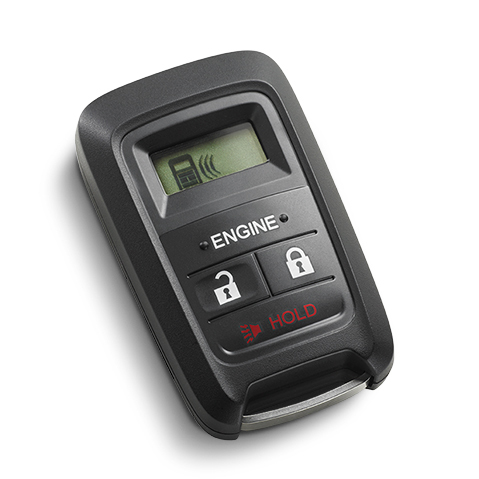 The key fob also includes an LCD display that provides an overview of the vehicle’s current status.